Save money by looking after your car | What Car? Keeping your car in good condition is a great way to both help it hold value and to slash the amount you spend filling it up with fuel. Regular services, keeping your tyre pressure at the recommended level and only putting on roof racks and other items that increase the drag on your car when necessary can all help you to save money on fuel. Meanwhile, changing the oil in line with the manufacturers recommendations should help your engine to run better and last longer. Improving your driving style can both cut fuel consumption and reduce the wear on vital components such as your brake pads. 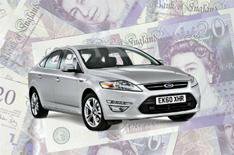 Here is our guide to driving down the cost of keeping a car by giving it a bit of TLC. Day-to-day car maintenance is cheap and easy to do, but it can pay dividends over the long term. Failing to ensure that your tyres are not under or over-inflated, for example, not only makes the handling of your vehicle less efficient. It can also increase your fuel consumption by between 5% and 15% and cause the tyres themselves to wear out 10% to 15% more quickly. Thats bad news when the law states that all your tyres must have a tread depth of at least 1.6mm. Other bad habits that can up your petrol costs include keeping roof boxes or racks attached even when you are not using them. This is because additions of this kind make vehicles less aerodynamic, forcing your engine to work harder and increasing fuel usage particularly at high speeds. The same is true of heavy items kept in the boot unnecessarily and of windows left open when you are travelling at speeds of 60mph or more. Changing your air filter every few months can also make a big difference to the regularity with which you have to fill up your tank. In fact, your consumption can rise by 10% if the air filter becomes filled with dirt and debris. The good news, however, is that a replacement should be inexpensive to buy and easy to fit yourself by following the instructions in your owners manual. Perhaps the easiest way to ensure your car stays in good condition is to check the fluid levels regularly. Ensuring that you have the correct levels of oil, water, anti-freeze and brake fluid could save you thousands of pounds in unnecessary repair bills. As oil is the lifeblood of all engines, it is also vital to respect the recommended oil change schedule for your vehicle. For most modern cars, this is every 5,000 miles or so. To prevent unnecessary accidents, remember too to keep your windscreen wash topped up (and add anti-freeze in the winter months) and to make sure that the wipers are not getting too worn out. Of course, it is also a sensible precaution to always have breakdown cover policy in place in case you experience an unexpected reliability issue or even a puncture. Looking after your car is not the only way to cut your petrol costs. Altering your driving style can also slash fuel expenditure. According to the Energy Saving Trust, modern cars use virtually no extra fuel when theyre re-started without pressing the accelerator. It therefore advises drivers keen to cut their fuel consumption and their carbon emissions to turn their engines off whenever they are at a standstill for more than a couple of minutes. Other tips for safer, more fuel efficient driving include shifting to a higher gear as soon as possible, anticipating the road as far ahead as possible to avoid unnecessary braking and acceleration and avoiding excessive speeds. In a typical car, driving at 85mph uses approximately 25% more fuel than travelling at 70mph.